Hair Washing Tray for Bed Enables Easy Hair Washing. 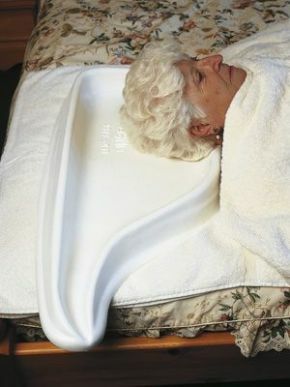 A shaped plastic tray that enables hair to be washed in bed by a helper with no spillage or discomfort. The waste water runs from the spout to a suitable receptacle placed on the floor.